Your self-confidence is most needed at your work place, to grow and become a part of the organization. But the irony is that it is the place where you are is the place where you have the minimum of it. Read below for some tips that will help you boost your self- confidence at work. Self-confidence is not an in born talent. For some it may not be very difficult to build self-confidence, but for some it can be the most tedious task, a task of trying and falling and again trying and falling. But building self-confidence is a very important step. When you look around and find people confidently making conversations, you wish you could that. Although the fact is that at some point of time, they may be at the exact same place as you are today. The only thing that is different is that they have worked towards building their self-confidence and you have to. Here are some enormously easy and speedy ways that can help you appear confident at your job. Honestly, it has nothing to do with your workplace. It is the simplest way that adds to your confidence. Most of the people tend to believe what other people think about them and start losing the belief in them. It is not that the opinion is not important, but it is important until kept as an opinion. Building self-esteem is a long process. It itself has steps involved. The first and most basic rule is to eliminate self-doubt. At first get a job where you can breathe freely. Here is a video that lets you mediate and help you remove self-doubt and increase your confidence a bit. Tip #2: Believe you are not going to lose your job! Sent a wrong e-mail or made a spelling error, you feel the anxiety of losing of your job! Trust yourself, you are human and you are allowed to make mistakes. You will not get fired for mistakes as small as this. But for a person who does not believe in himself, things get pretty tough. Remember anything dreadful can be made up, only if you have the guts to cope with it. Remember, your workplace is not something where you are exploited; instead it is an opportunity for you that help you grow and climb the ladder of success. Tip #3: Change the outlook! It matters! You will be surprised to note the difference in your attitude, when you start perceiving a different picture at your work. People who are low on confidence tend to have a great obsession towards how other people impact them. To turn the tables, if you start witnessing what impact do you have n others can increase your effectiveness and your confidence will boost up as you will start noticing why are you important to at your job. No one but you knows when you give your 100% and when you slack at work. Remember, slacking is one way of letting you go deep down that road of low confidence and getting back becomes even tough. It lowers your motivation, de-energies you and in the end brings down your confidence. To be on the top, just do the opposite. Motivate yourself, re-energize and develop a mission statement that states your work rules for the coming months. Notice the difference and congratulate yourself! Tip #5: Appreciate yourself! You deserve it! 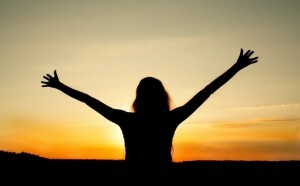 Feeling good is directly proportional to believing good and believing good comes from appreciating what you do. Work hard to make no-body but yourself proud of your deeds. Once you start appreciating your work, the chances of others liking it automatically increases making you an important somebody from a useless no-body. Tip #6: Make 5 year plans! So you thought that those five year plan policies only worked for the governments. Well, they not might very well work for the government, but having an advance plan of what you want out of career in next five years will help you direct the right way. 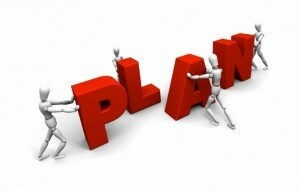 Your plans can motivate you to work hard in order to achieve your goals and improve your efficiency at work. Tip #7: Do what you are best at and do it again! When you are in the process of building your self-confidence, doing what you are best at and getting appreciated for the same is going to add to your self-confidence. Add a new challenge to your daily task each day and notice the change in you. Tip #8: Pay attention to your body language! Tip #9: Stay Happy! Work Hard! Look around and observe people who are happy at work and enjoy their job. You will see a kind of confidence that keeps them distinct from others. Follow their league. To be successful, it is important to do what you enjoy doing. So start loving your job and it is sure to bring your confidence to a next level. Think positive, spread positivity. It is very rightly said that the way you think actually matters a lot. People who are low on confidence generally tend to be pessimistic in life. Try giving everything a positive turn to every action around. The positivity is sure to give you boost and your confidence level is sure to go up. Tip #11: Too much is no good! As it is said, too much of everything is not good. Building confidence is necessary, but in the process of it do not become over confident. That is something that can ruin your entire practice of getting into the confident zone. Be confident not over confident. It is time for you to stand apart and get known at work place. If you are one of those who are really scared to come up and face the music, trust me some simple tips and you are set to rock. Being confident not only improves your work life but adds to your personality and gives a positive edge to your lifestyle. So get up fresh and start new. Follow these simple tricks and get noticed at work. Akansha Arora is a professional writer and blogger who loves to pen down her views on a number of topics that interest a reader. A writer by day and a reader by night, her passion is to help readers in all aspects of job search and resume writing. Tips to De-stress at work!